V. Jacob de Mel, the patriarch of a well-known Sinhala family, dominated the business and agricultural landscape of Ceylon during colonial times and died on April 1, 1919. His 100th death anniversary falls today. Jacob was the fifth son of Francisco De Mel and Telge Leonora Peiris. His family lineage can be traced back to the year 1534. The family is known to have held high office in the court of King Parakrama Bahu VI of Kotte. A student of St. Thomas’ College and Royal College, he was a Notary Public. Jacob was a shrewd businessman whose family trading activities probably dated back to Dutch times, as mentioned in Kumari Jayawardena’s book, From Nobodies to Somebodies. He foresaw the potential of the plumbago industry and became a pioneer. He acquired the Ragedra mine in the Kurunegala district, which was the first mine in the East, where explosives in mining for plumbago were used (The mine was subsequently nationalised during the Sirima Bandaranaike government). A large graphite rock is now on display at the American Museum of National History in New York. 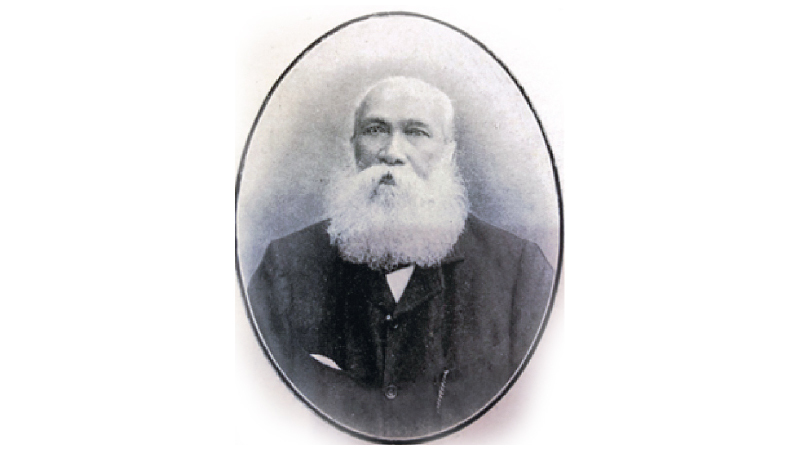 By 1880, he owned one of the largest commercial houses, employing a labour force of 3,000 in his mines, 2,500 on his estates and 500 at his stores in Colombo. Jacob invested in land on which he planted coconut, cinnamon and tea. His granddaughter Rohini de Mel says he planted over 4,000 acres of coconut. He also owned fibre mills in Madampe and Chilaw. The family along with other prominent Sinhala families of the time was a market leader in coconut ownership. He also invested in land in Cinnamon Gardens and his stores were at Lakeside and Alston Place, Hunupitiya. H. L. De Mel and Company (Private) Ltd. was established in 1870 by Jacob De Mel to manage his plantations, property and other operations. The company was named after his eldest son, Sir Henry Lawson De Mel, and has been geared towards public service. Presently, the fourth and fifth generations are associated with the firm. Its headquarters, built in 1921, are at De Mel Building, Chatham Street, Fort, and has been documented as a heritage property. An entrepreneur whose ‘business model’ was studied for years at the Colombo University, he rewarded those who served him by gifting a house and five acres of land upon retirement. The stories passed amongst family members are of beggars lining up outside his house for a meal and his charity every Sunday. It was an era which does not exist any longer, where entrepreneurship and charity went hand in hand, without any thought of personal gain. His marriage to Dona Helena Ferdinando, the daughter of Jeronis and Simona de Soysa, produced nine daughters and five sons. He married his daughters to prominent men such as Sir James Peiris, the first Asian President of the Cambridge Union, who on his return, was involved in the civic and political sphere; C. E. A. Dias, a prominent planter and philanthropist; Henry A. Peiris, the original landowner on which Arpico and Hyde Park Residencies have been built, and Charles Peiris, a well-known notary, landowner and philanthropist. 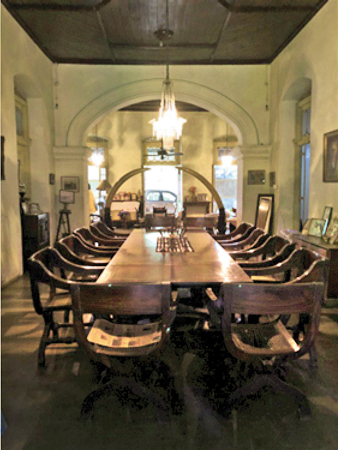 Villa de Mel, his home built in 1892, in Horton Place, Colombo 7, was one of the first homes in the area and is now a listed heritage property. Amongst some of his philanthropic acts were the funds he bestowed on the Victoria Memorial Eye Hospital and the De Mel Ward at the Lady Havelock Women’s Hospital. He served on the committee of the Victoria Home for Incurables. Jacob and his wife Helena created a trust in their names for certain coconut properties and the trust is managed by H. L. De Mel and Company (Private) Ltd.